New Metro: Last Light trailer was revealed! The development of Metro: Last Light game is a complete mystery since THQ no longer exists. But today Deep Silver - new publisher of this highly anticipated shooter - has revealed new amazing Metro: Last Light trailer that enters the gates to the Moscow's metro. 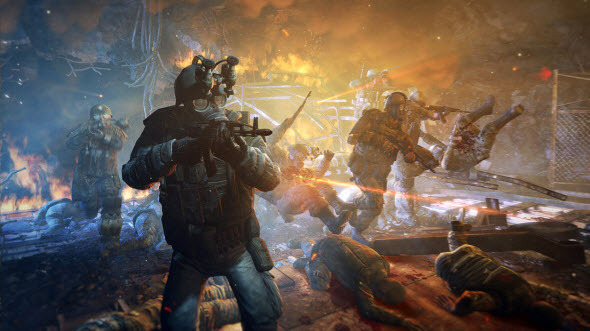 Metro: Last Light trailer shows gameplay elements and also tells new details of the plot. And more important, the atmosphere of the game is present in this video. There is no hope, no radiant future and no salvation. We promise that you will shudder watching it. Metro: Last Light release date is scheduled for the 17th of May. There will be Metro: Last Light for PC, Xbox 360 and PS3. There are only 2 months left before we enter the metro.